Bus Accidents: How Much Insurance Do Drivers Carry? Like other motorists, bus drivers must be properly insured in the event that they cause or contribute to someone’s injury through a bus accident. The precise amount of insurance that drivers must have is set out in state and/or federal regulations. Since bus accidents can (and often do) result in more serious injuries to more individuals, the insurance requirements are correspondingly higher. This is meant to ensure that bus accident victims who are injured because of the bus driver’s carelessness or negligence can be quickly compensated for their losses. Federal Regulations or State Laws: Which Apply? Our system of government limits the actions of the federal government to certain activities and arenas. In other words, the federal government is not free to regulate and impose laws governing every sort of activities; rather, it can only legislate and impose regulations on those activities that the U.S. Constitution permits it to do so. One important arena in which the federal government can legislate and issue regulations is activities that affect interstate commerce (commerce between the states). Determining whether state or federal laws and regulations apply depends on whether the particular bus driver’s activities (and the bus company’s activities) affect or impact interstate commerce. A bus driver who drives within the boundaries of a single state, who works for a company incorporated in that same state and whose employer has no dealings with any other state may not affect interstate commerce. In this instance, the relevant laws will likely be just those laws and regulations issued by the state in which the company is located and the driver operates. But suppose the bus driver’s routes take him or her across several states as he or she picks up passengers in one state and drops them off in another state. Or suppose the bus driver’s route originates in Mexico or Canada and terminates at a city within the United States (or vice versa)? The act of crossing from one state to another – or from one country to the United States or vice versa – is the sort of activity that has been found to affect interstate commerce. In such a circumstance, the driver and his or her employer will need to comply with the federal regulations regarding insurance coverage. Because a bus accident does not become less severe simply because the bus never left the boundaries of a single state, most states have adopted insurance regulations that mirror the federal regulations in terms of coverage and policy limits. There are, however, some states that have more stringent requirements. In cases not involving interstate travel or commerce, these more stringent requirements would apply. The federal government requires that bus drivers that transport sixteen or more people (including the driver) across state lines must be insured by a policy providing for $5 million in coverage per incident. If, on the other hand, the bus transports fewer than sixteen people (again, including the driver), then the policy must only provide for $1.5 million in coverage. What if the bus driver’s passenger load varies such that sometimes there are more than sixteen people and sometimes there are less people on the bus? In such a case, because insurance coverage cannot be changed back and forth based on one particular load of passengers, the coverage would need to be for the higher amount. A bus carrier that utilizes a fleet of vehicles that makes it impossible for the bus to carry more than 16 people can use the lower amount. If a bus company does not properly insure its drivers according to the law, the driver and/or bus company may be personally responsible for any of your bus accident-related losses that are not covered by the insurance policy. 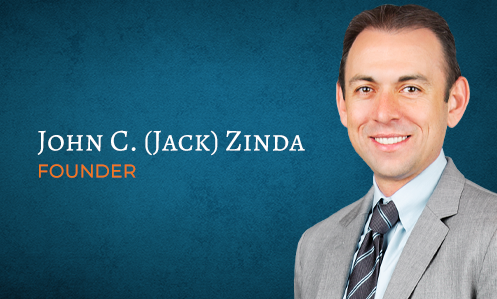 Zinda Law Group can help evaluate the adequacy of the bus driver’s coverage and help you obtain compensation for your losses following a bus accident. Contact us at (800) 863-5312 for assistance today.